As new smartphone models hit the market this approaching autumn, it’s not only everyday consumers who are thinking of switching phones. The New York City Police Department says it will give up its 36,000 Windows phones and transition to iPhones starting this fall. The switch is prompted in part by news in July that Microsoft was ending support for Windows Phone 8.1, which a large percentage of all Windows-powered phones are still using. It’s a predictable end to the Windows phone, considering that its market share had already slipped below 1 percent at the time the police department adopted its phones last year. The ill-fated decision to go with the Windows phone was made solely by its NYPD deputy commissioner for IT, according to The New York Post, and apparently did not receive further judgment before implementing the program. 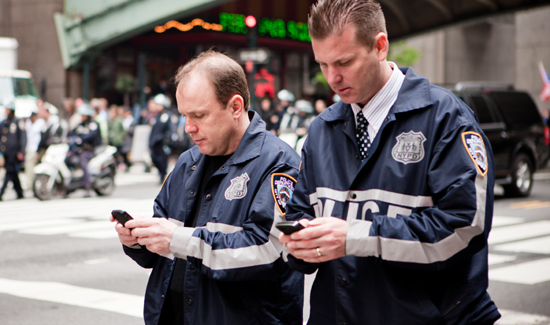 The Windows models were Nokia Lumia 830 and Lumia 640 XL, equipped with special 911 apps, case management apps, and the ability to receive assignments. They were purchased as part of a $160 million initiative to modernize the NYPD, which has been around since 1845. The new business for Microsoft’s phones, which were provided at no cost to the police, was clearly not enough to keep Windows Phone alive.